Looking for a good deal on potato equipment? See what we have for sale below! From time to time, we retire some of our older, operational potato equipment. From potato harvesters and pilers to bulk beds, if we have it for sale you’ll find it here. Be sure to stop by often to see what we have for sale! 2010 Logan Load Pro Potato Bulk Beds – We have two used Logan potato boxes for sale. Both feature electric and hydraulic pumps along with cab switches to make loading and unloading easy. 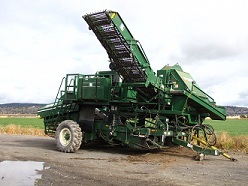 2008 Lockwood 474H Potato Bulker – If you’re looking for an excellent, used potato harvester, look no further than this 2008 Lockwood 474H potato harvester. This machine is well-maintained and ready to start digging as soon as you pull it in the field! 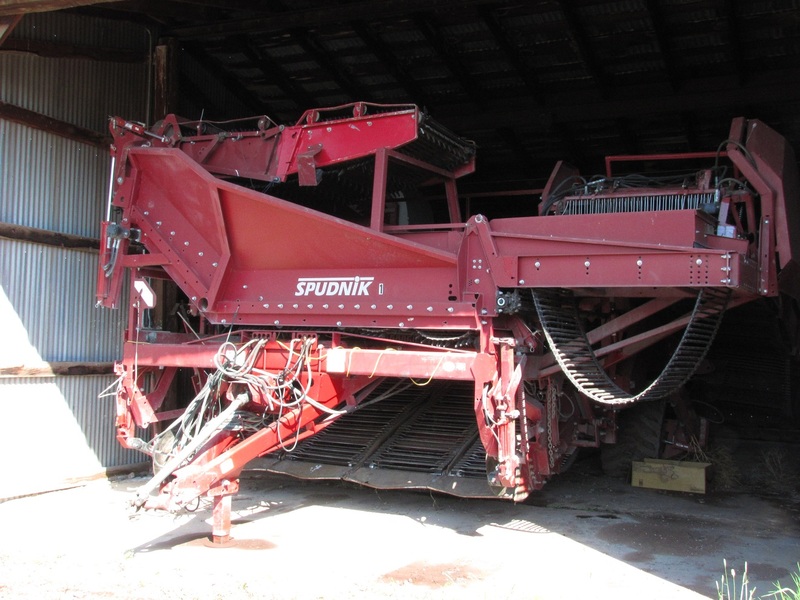 ***SOLD*** 2005 Spudnik 6400 Potato Harvester – We have a well maintained 2005 Spudnik Bulker for sale. Lots of features, able to harvest four rows at a time, cameras and lights. Extras include star table, canopy and spare tire. Back to Used Equipment Sales page.